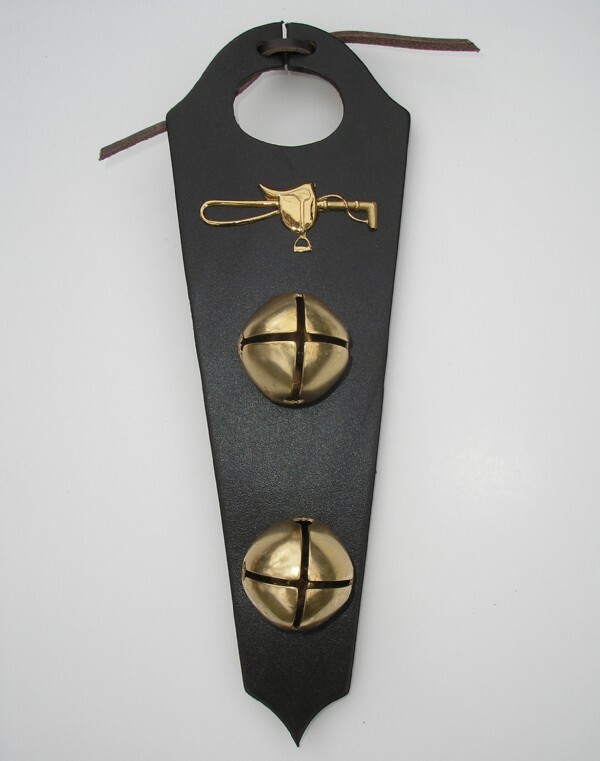 Solid Brass Bells hand tied on unique shaped Genuine Leather with Brass Motif Saddle and Riding Crop. 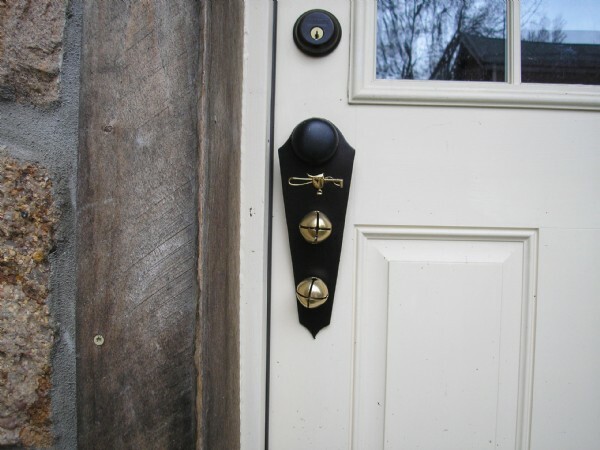 Ties on any Doorknob. Makes a welcoming Holiday Decoration and a wonderful gift. Measures 11" long x 3+5/8" wide at top and then tapers. Leather is Deep Mahogany Brown color.